Scott Alex Wegmiller, Enid, Oklahoma, went to his Lord and Savior September 9, 2018 in Oklahoma City at the age of 54. His Celebration of Life will be Saturday, September 15, 2018, at 2:00pm at Ladusau-Evans Funeral Home in Enid, OK. Gail Edmison will be officiating the service. Family will accept visitors Friday September 14th, 6:00pm - 7:00pm at Ladusau-Evans. youngest of three boys. He graduated from Enid High School in 1981. He began working for Clement’s Plumbing and would often reminisce about how much he learned and how he valued that job. As a young man in his 20’s, he began a journey that turned into fulfilling career at The Commons in 1988. He then attended the University of Oklahoma Health and Science Center, completing his Licensure for Long-Term Care Administration in 1991. 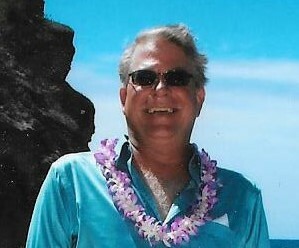 Scott began as administrator on July 1, 1995. He retired from The Commons after 30 years of transcending service in June 2017. He was proud and honored in the work he did with The Commons. Scott and Retha have a beautiful son, Christian Scott, born May 23, 1991 in Enid, OK. A large part of their time was spent at “the river” in Kay County fishing, boating, and exploring. Scott was a wonderful loving father. He was an avid reader and builder. He was an outdoorsman and loved to travel. Scott and Samantha met during their careers at The Commons’. Their shared vision for this company allowed a friendship to grow into a life together. They were married in Kuai, HI, in 2012. Scott is survived by his father, Bobby Lee Wegmiller, son, Christian Scott Wegmiller, wife, Samantha Lea Wegmiller, his two brothers and families, Jay and Wanda Wegmiller, Brad and Pam Wegmiller, including two nieces, Jennifer and Tyler Williams, and Erin and Jeremy Klein, and great-nieces and nephews, Tayvian, Tate, Gentry, and Miller As well as, daughter-in-law, Kelsey Wegmiller, parents’ in law, Edward and Sharon Manuel, and David Dougherty, blended family include two daughters and a son, Sydnie Lickliter, Mckinzie Devereaux, and Tyler Dougherty. He has four grandchildren, Rylinn, Michael, Peyton, and Harper, who loved him dearly and called him “Papa Tree”. Scott was preceded in death by his mother, Judy Kay Wegmiller and step-son, David Devereaux. Memorials in Scott’s name may be made to Enid SPCA or FurEver Friends with Ladusau-Evans Funeral Home serving as custodian of the funds. To send flowers to the family of Scott Alex Wegmiller, please visit our Heartfelt Sympathies Store. We encourage you to share any memorable photos or stories about Scott. All tributes placed on and purchased through this memorial website will remain on in perpetuity for future generations. I had known Scott for over 20 years. He was always such a kind and giving person. He had that little laugh that made you realize how much he loved life, his work in long term care, and the people whose lives were touched by his years of dedicated service. To Christian and Samantha - may you be blessed with peace and strength today and in the days ahead. May all the wonderful memories of Scott bring you comfort.